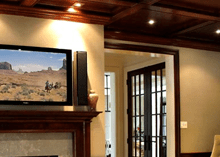 Braco Electrical and Contracting in O'Fallon, MO offers a full range of construction services. While we specialize in electrical services, we also provide plumbing, heating, lighting, generators, roofing and more. There are general contractors available for restoration, renovations and remodels in the St. Louis, St Charles and O'Fallon area and surrounding communities. 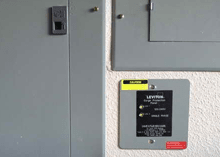 Replace an old circuit panel or fuse box to a modern service panel for today's high energy need. We install service panels and transfer switches up to 1000 AMP. Remodels, renovations and new construction including kitchen, bathroom and basement refinishing and additions starting from the design stage to the complete finished product. 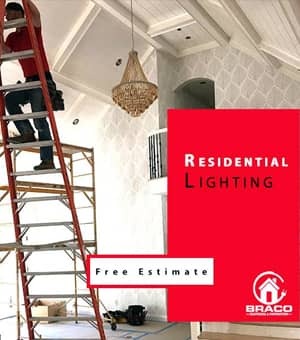 Braco's licensed and trained team will also work with your contractor. If your home or business has knob & tube & cloth insulated wires you could be at risk of fire! 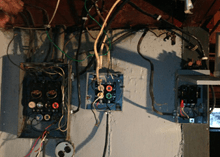 Aluminum Wiring, Electrical Troubleshooting, Repair, Replacement, Installation of Receptacles & Switches are our specialty. 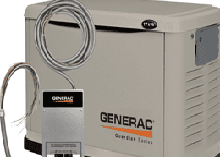 Whole house generators, back-up generators and portable generators wired for safety, Generac, Kohler, Briggs and Stratton and more. 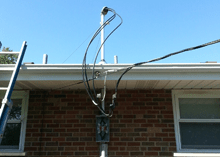 We provide complete installation with automatic transfer switch. Propane, natural gas with trenched lines. Master Electrican O'Fallon & Lake Saint Louis, Missouri. 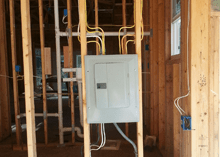 Professional electrical contractor covering the St. Louis, Missouri area; Lake St Louis, St Charles, Chesterfield, O'Fallon, St Peters, Florissant, Maryland Heights, Warrenton, MO and the surrounding communities.